What is our life? A play of passion. Our mirth the music of division. Our mother's wombs the tyring houses be, Where we are drest for this short Comedy. And can be bought with nothing but with self. Our bodies are but the anvils of pain and disease and our minds the hives of unnumbered cares. Silence in love bewrays more woe Than words, though ne'er so witty; A beggar that is dumb, you know, Deserveth double pity. But it is hard to know them from friends, they are so obsequious and full of protestations; for a wolf resembles a dog, so doth a flatterer a friend. Except thou desire to hasten thine end, take this for a general rule, that thou never add any artificial heat to thy body by wine or spice. O eloquent, just, and mighty Death!…thou hast drawn together all the farstretched greatness, all the pride, cruelty, and ambition of man, and covered it all over with these two narrow words, Hic jacet [Here lies]. Less pains in the world a man cannot take than to bold his tongue. There is nothing more becoming any wise man, than to make choice of friends, for by them thou shalt be judged what thou art: let them therefore be wise and virtuous, and none of those that follow thee for gain; but make election rather of thy betters, than thy inferiors. 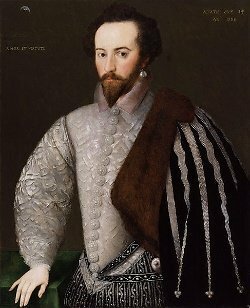 Bio: Sir Walter Alexander Raleigh was an English scholar, poet and author.